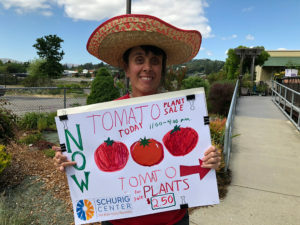 In case you missed it, “the most killer tomato plant sale ever” was held at Schurig Center over three days in May. More than 400 healthy tomato plants made their way to new homes throughout Marin. The plants were grown from seed by clients who participate in the center’s weekly “Green Thumb Club” with volunteer Master Gardener Karen Halvorsen. Each member of the team contributed to making the sale a success. Leading up to the event, participants worked together to make signs and took part in a mini marketing class. 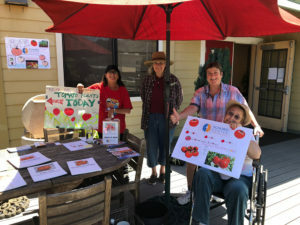 On the day of the sale, self-proclaimed ‘tomato selling fiend’ Lisé and teammate TK shared their enthusiasm on the street to entice passersby to stop in. 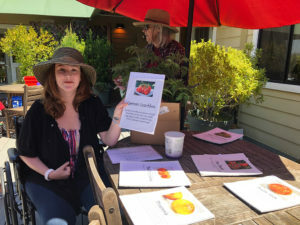 While others, like Alyssa, helped shoppers select from an array of colorful heirloom tomatoes varieties, like Green Zebra and Berkeley Tie-Die, using display cards that explained each tomato’s qualities. “One of our customers said he is even on the City Council, how cool is that? But seriously, this was really great because my dream before my brain injury was always to have my own dress shop, so today I got to practice what it’s like being a sales person. It was a blast!” beamed tomato salesperson extraordinaire Michelle. As much as possible, therapists and educators at Schurig Center strive to ensure that the recovery work clients do is generalizable to clients’ lives in the community and at home. Thank you to all who stopped by to take home a plant! We hope the plants will bring joy to your home every time you enjoy a fresh tomato wedge in your salad or a delicious bowl of pasta smothered in fresh tomato sauce. Karen’s dedication, amazing green thumb, and countless hours of volunteered time help bring enjoyment and peace to all who visit the garden at Schurig Center. We hope to see you at next year’s sale! 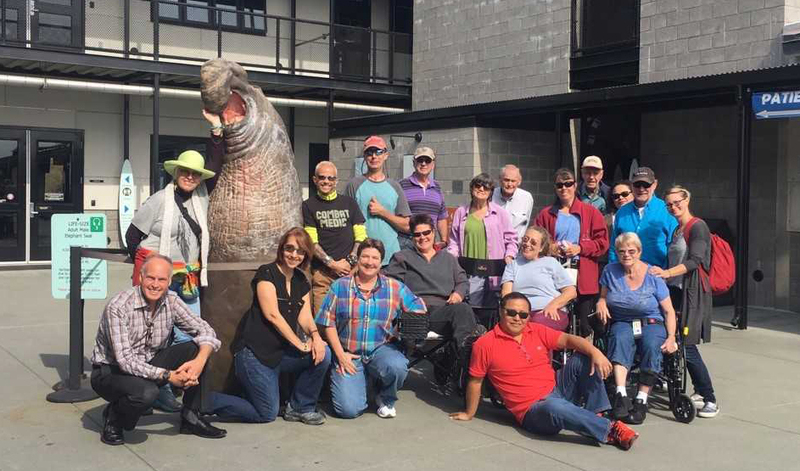 Schurig Center’s Therapeutic Program participants recently visited the Marine Mammal Center, a nonprofit veterinary research and educational center located in Sausalito. Since 1975, the Marine Mammal Center has helped promote ocean conservation through marine mammal rescue and rehabilitation. 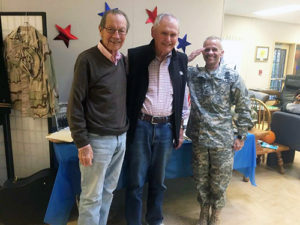 Leading up to Veterans Day, we honored our friends here at the Schurig Center who have proudly served our country with a special Veterans Day celebration.